I remember attending an annual NTEN conference for the first time, in San Francisco. The sharing between very large companies like Blackbaud through individual IT consultants working for a cause demonstrated the tremendous resources offered—not just for nonprofit organizations (NPOs), but to the broad community serving them. 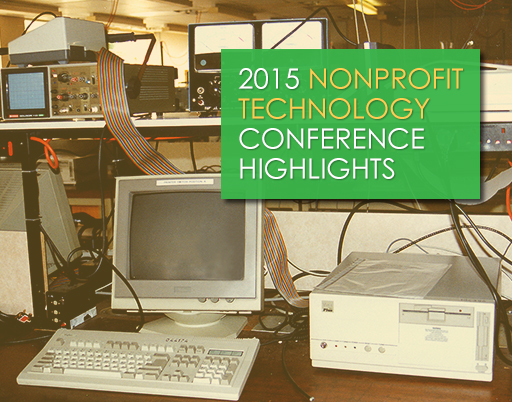 Launched in 2000, NTEN, The Nonprofit Technology Network, aspires to a world where all nonprofit organizations use technology skillfully and confidently to meet community needs and fulfill their missions. The organization serves scores of volunteers, tech workers, IT managers, “progressive geeks” – all resourceful individuals striving to keep philanthropic operations viable. It’s fair to say that in 2015, we are reliant on IT resources for operations and outreach more than ever. NTEN’s impact in galvanizing our essential, cause-based community as we seek ways to integrate the best technology for our organizations is immeasurable. NTEN held its 15th annual conference in Austin recently. Featuring a roster of collaborative workshops and information, session tracks included Communications, Fundraising, Leadership, IT, Product Demos, and more. If you weren’t able to make it to the conference this year, or would like a recap from a few valuable sessions, here are three highlights. To read more about the wide variety of topics covered in discussions, take a look at the entire 15NTC Community library here. NTEN, like JustGive, is celebrating 15 years of dedication to its mission this year. Congratulations NTEN! If you’re not a member yet and would like to join visit their site to sign up.